A dramatic depiction of the Green Man. 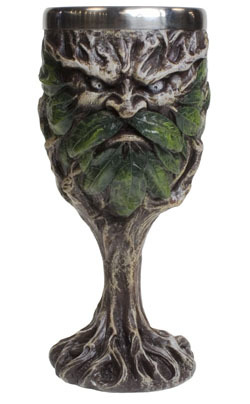 This goblet has a removable stainless steel insert and stands 18cms tall. Hand painted cold-cast resin.